The new Compact Titration 10S line is specifically designed for simple and secure titration analysis. The new Karl Fischer volumetric, Karl Fischer coulometric, and potentiometric compact titrators ensure fast and precise execution of routine operations. Designed for dedicated and simple tasks, the strength of the Compact 10S line is its measurement performance in basic chemical, food and academic applications. 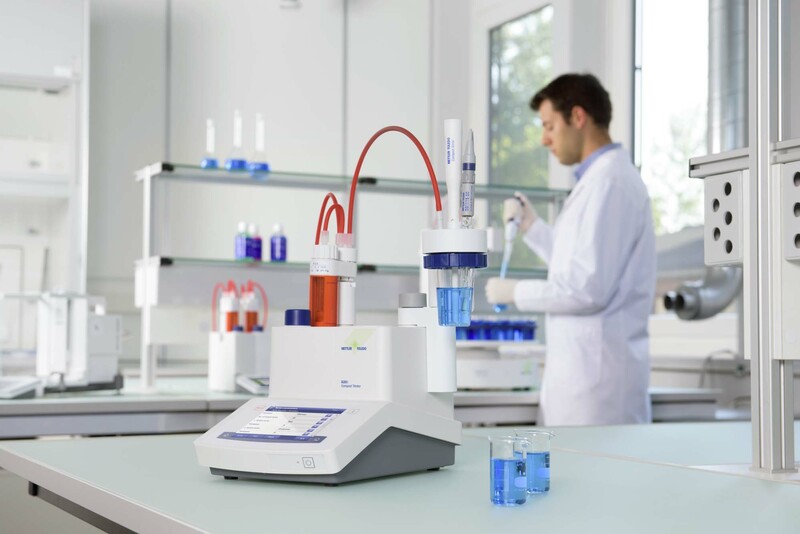 Dedicated analysis – Designed for dedicated and simple tasks, the strength of the Compact 10S line is its measurement performance in basic chemical, food and academic applications. Keep your data available – The modern interface of the 10S line offers more flexibility on data export. With the Ethernet connection, .csv, .pdf or .xml files can be sent to network printers or local servers. The USB connection of the titrator enables command of compact or local printers, as well as data storage on a USB stick. More comfort and better ergonomics – The new graphical user interface is identical to the latest METTLER TOLEDO laboratory instruments and allows up to four shortcuts to be saved. The 5.7" color touch screen comes with VGA high-resolution technology. Find out more on http://www.mt.com/titration-10s or contact your local sales representative for more information.